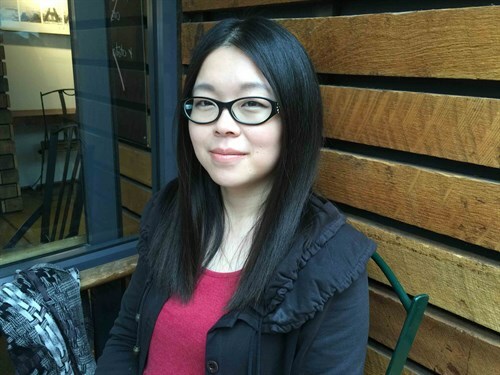 A chance project as an undergraduate led early career researcher Dr Wanting Jiao to the world of computational modelling where she developed the skills needed by a number of Maurice Wilkins Centre research programmes. When Affiliate Investigator Dr Wanting Jiao undertook a summer project as a third year chemistry undergraduate at the University of Canterbury, there was no hint of where it would eventually lead her. That summer Wanting was introduced to ligand docking – a molecular modelling technique used to investigate interactions between small molecules and their protein binding sites. “That’s how I started in the computational field,” explains Wanting. The summer project also gave Wanting a taste of what computational methods can do, and she eventually went on to pursue a PhD with Professor Emily Parker, an MWC principal investigator. Under Emily’s mentoring, and with a desire to extend her skill set, Wanting learnt the computer-based methods to study the movements of atoms and molecules – “molecular dynamics simulations”. Wanting is applying these methods to study how the dynamic motions of an enzyme may contribute to its function and regulation. Wanting finished her PhD in 2011 and is now a post-doctoral research fellow in Emily Parker’s research group at the University of Canterbury’s Biomolecular Interaction Centre.